The stepper motors move in precisely repeatable steps, hence they are the motors of choice for the machines requiring precise position control. 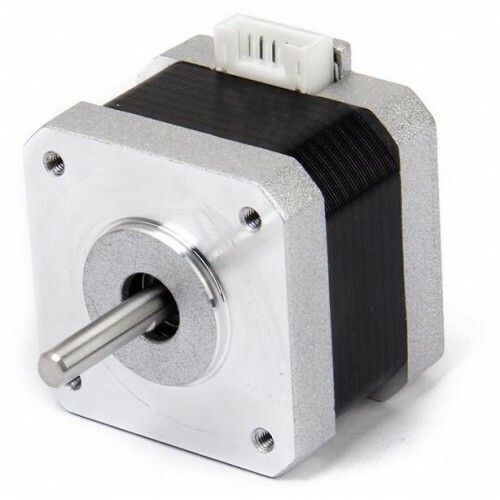 The Nema17 1.6 kgcm Stepper motor can provide 1.6 kg-cm of torque at 0.31 Ampere current per phase. The motor’s position can be commanded to move or hold at one position with the help of Stepper Motor Drivers. The Nema17 1.6 kgcm Stepper motor provides excellent response to starting, stopping and reversing pulses from stepper motor driver. It is a brushless DC motor, so the life of this motor is dependent upon life of the bearings. The position control is achieved by a simple Open Loop control mechanism which doesn’t require complex electronic control circuitry.